Sports are a great way for the international community to come together and celebrate each country’s successes, but it is also an important moment for economic and diplomatic practices. As we finish the 2018 Olympics, it is also interesting to think ahead to the next four-year period and talk about 2022, the next Olympic Games that will be held in Beijing, China. China continues to defy global expectations – in 2022, its capital city of Beijing will be the first city in the world to have hosted both the Summer and Winter Olympic Games. Hot off the heels of the 2018 Winter Olympic Games in Pyeongchang South Korea, it seems premature to be thinking about the next gathering of countries for winter sports, but the next quadrennium will be incredibly influential for China and have massive economic implications for the country and the world as a whole. China first solidified its position on the global stage with the 2008 Summer Olympics, showing off to the world that the People’s Republic had emerged as an economic and military superpower. The Olympics were a means for China to prove that it had consolidated its power and was ready to become the responsible stakeholder in the international community that former U.S. Deputy Secretary of State Robert Zoellick had advocated for. Not to mention the games allowed for a massive influx of people into China to see what the country was really like, promoting tourism and Chinese culture and influence. The 2008 Games cost China $44 billion, which included the creation of new subway lines, an airport terminal, sporting venues, and other projects to vamp up the quality of the city and prepare for the event. This was the most expensive Games ever to be held: Beijing authorities invested $40.9 billion in the Games, with a profit made of over $146 million. Not only was this an economic success then for the People’s Republic, but the 2008 Games had incredible diplomatic and international ramifications. China’s attitude about reentering the international community is shown through the effort put into the Olympics and their motto: One World, One Dream. The Chinese called upon the world to engage in the Olympic spirit and enjoy international camaraderie under their captainship, highlighting their reemergence onto the world stage. Today, because of the Olympics back in 2008, China has emerged as a key player in international affairs, particularly as a major presence on the global market. Later in the year, when the American financial crisis went global, China launched a stimulus package amounting to $586 billion to help revitalize the emergency funds of international institutions and maintain economic equilibrium within the People’s Republic. This new economic power after the Olympics truly showed that China was coming into its own as a team captain on the world stage. Compared to Beijing’s 639 Chinese athletes in 2008, Pyeongchang’s 81 Chinese competitors is quite small. However, that’s not to say that their contributions to the games were less than stellar. In the realm of short track speed skating, China’s Wu Dajing broke the world record in the men’s 500m skate and brought home the People’s Republic’s first gold medal of 2018. China’s other athletes have medaled in sports like snowboarding, freestyle skiing, and figure skating. Economically, the Pyeongchang Olympics is expected to cost $12.9 billion, with a budget between $3.5 and $9.5 billion, depending on the amount allocated for infrastructure. 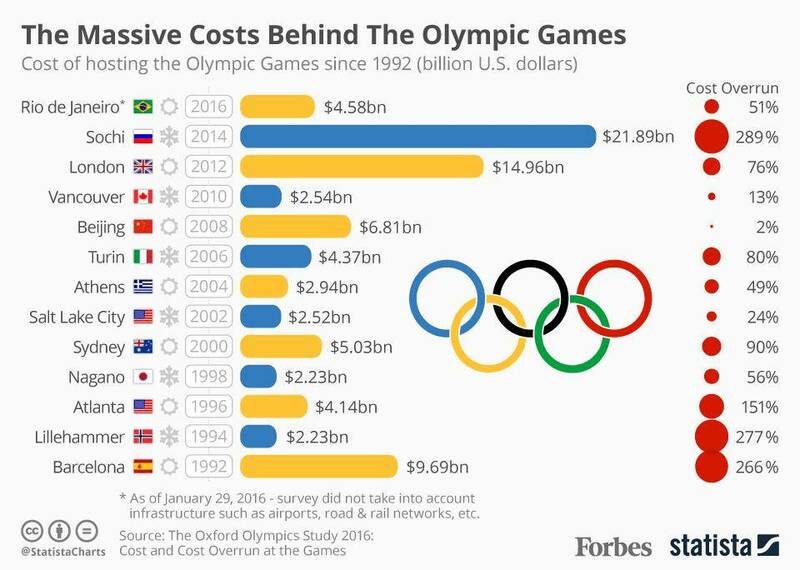 This pales in comparison to the astronomical cost of $51 billion that was spent on the last Winter Olympics in Sochi in 2014, but still is an enormous amount of money for the small, peninsular nation. Politically, the 2018 Games have been incredibly significant for both South Korea and for China, because of their involvement in facilitating a peaceful interaction with the government of North Korea. In the sport of ice hockey, athletes from the north and south of the peninsula are competing under a unified name, “Korea,” that demonstrates the ongoing cooperation and willingness to engage in a liberal process of negotiations and peacemaking. The two Koreas marched under a single flag at the opening ceremony. China’s role in bringing the two Koreas together should not go unrecognized: Beijing has been actively involved in peace talks that hope to destabilize Pyongyang’s nuclear program, which is the main source of tension for all key players in the region. The economic costs and consequences for China of intervening in Korean affairs are high, but would ultimately demonstrate the People’s Republic’s commitment to doing good by the international system, which is something that is also represented through the Olympic spirit. The Chinese, as the host country of the next Games, even got to display their influence in a segment of the closing ceremony at Pyeongchang on February 25th. After finishing the Games with nine medals, one gold, six silver, and two bronze medals respectively and ranked sixteenth overall, China continues to be a major player in cooperative international pursuits like the Olympics, as well as in more diplomatic and economic endeavors. Champions: 2022 Summer Olympic Games and beyond? As Pyeongchang comes to a close, we can look forward to the next gathering of nations for a winter wonderland – in China. The motto of this Games is Joyful Rendezvous on Pure Ice and Snow, which indicates a strong change from the message of 2008. In fact, the actual Chinese translation for the motto uses the word for “appointment” rather than a rendezvous – in the past 14 years, China has become an incredibly powerful executive in the international community of decision-making, and Beijing is its headquarters and main office. Six new competition venues, three “game zones,” and billions of dollars will be required to host the 2022 Games, even after having some of the preexisting infrastructure from Beijing’s 2008 hosting. The budget is currently set at $3.9 billion, but 2008’s initial budget was $4.6 billion. Beijing has already begun to sell merchandise for the 2022 Olympics, showcasing their “Winter Dream” brand in ten retail stores across the country four years before the Games begin. This will ensure domestic and international tourism, as well as early sales and hype for the historical event. This legendary status as the first city in the world to host both the Summer and Winter Olympics shows that China is becoming a champion of international cooperation and truly coming into its own as a responsible stakeholder that participates and leads others in the pomp and circumstance of global camaraderie and diplomacy. Beijing will be the first city in history to host both the Summer and Winter Olympics after securing the 2022 bid for the Winter Games. What does this mean economically for China and its global influence? Do you import from China? 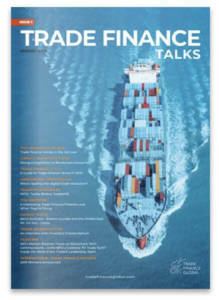 Are you trading with Chinese companies or looking to export in China? 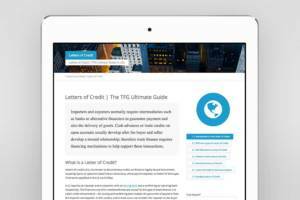 Trade Finance Global have put together a series of exporting guides and a ‘Doing Business in China’ guide, here. Justin Melnick is a junior at the University of Pennsylvania, majoring in International Relations and Economics and minoring in Survey Research and Data Analytics. His interests include Chinese domestic politics and foreign policy, comparative politics and authoritarianism, international political economy, and strategic studies and game theory.